Bruce J. Hayes joined iSixSigma 14 years, 7 months ago. 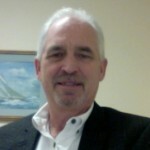 Bruce Hayes is the President of Executive Advisor Group based in Marshfield, MA. Mr. Hayes is a seasoned Operations Professional and Consultant specializing in Strategy, Initiative Integration and Six Sigma, and has over 26 years of industry experience in a variety of Operations and Management roles. He was formerly a Senior Executive at Motorola where he was one of the key contributors to developing and “operationalizing” Six Sigma. He has served as an Executive Coach and Trainer for many fortune 500 companies implementing Six Sigma in a variety of industry segments. For more information you may contact Bruce Hayes at (508) 648-5190, email to bhayes@executiveadvisorgroup.com or visit http://www.executiveadvisorgroup.com.